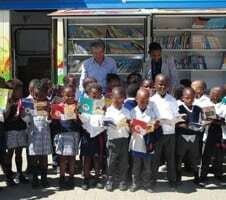 South Africa Mobile Library Project provides free and easy access to the books for children especially in remote areas. Aiming for equity of primary education in South Africa, Sony supports NPO, South Africa Primary Education Support Initiative (SAPESI) to continue this project. While the issue of education in South Africa remains a key theme, the access to books - an indispensable tool for literacy education - is limited, and the ratio of schools possessing a library is very small. During the nine years compulsory education received by South African children, the first three years are spent learning in their indigenous languages. From the third year children start to learn English language, and from the fourth year almost all lessons are carried out in English. Apart from Afrikaans (derived from Dutch) and English, nine of South Africa's 11 official languages are indigenous languages that have been handed down by word of mouth, and with only a limited quantity of materials written in these languages remaining, there are concerns that some of them may fade out. SAPESI is supporting the preservation of South Africa's indigenous languages through its mobile library activities. Sony companies in English-speaking countries, Australia, Canada, Hong Kong, Malaysia, New Zealand, Singapore, South Africa, United Kingdom and United States called upon employees to donate English children's books. The total numbers of books donated by these global employees are approximately 300,000 since 2008. Various emergency assistances were provided by south Africa when Japan was struck by a huge earthquake and tsunami in 2011. As an expression of gratitude, SAPESI donated new books by translating a NPO XYZ's original picture book into the eleven official languages of South Africa. SAPESI is a South African NPO that has jointly overseen the “South Africa Mobile Library Project” with the South African Department of Education since the project's launch in 2005. 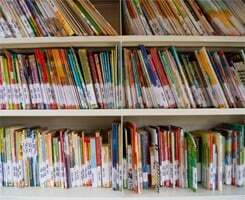 Previously, the organization acted as an intermediary between the South African Department of Education and a Japanese NGO which used to send mobile libraries from Japan to South Africa. In 2007 SAPESI assumed responsibility for the acquisition and transportation of these vehicles from this NGO. 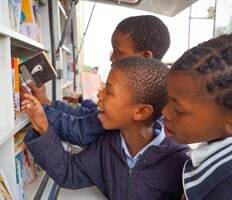 It is a recipient of Grant Assistance for Grassroots Human Security Projects from the Embassy of Japan in South Africa, and with support from the Society for Promotion of Japanese Diplomacy (SPJD) it continues to acquire and transport used mobile libraries to South Africa. SAPESI is also involved in the collection of books for use in the mobile libraries. Sony Group to Support the "South Africa Mobile Library Project"